Are you an individual who operates a business from your home? Do you know that your homeowners policy may not provide you with the coverage that you need for your business? We are ready to help. 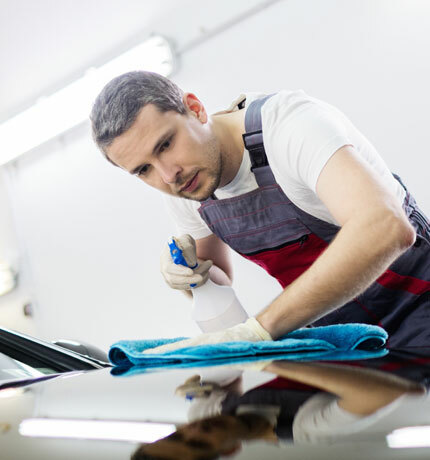 Many people who are car detailers start out as individuals who love cars and making them look fantastic. Success comes from connecting with customers and meeting every detail! This hobby can quickly grow into a business that provides a source of income for what you do best. Helping you protect the your business is what we do best. General liability, professional liability, property and data security. See if you are a fit for our low prices. Protection for someone slipping and falling while you are working on a car at a dealership or at a business. You could be responsible for any injuries sustained if the slip and fall was due to your work. Protection for your inventory in your home and on the road. This includes theft of your inventory wherever you may be. Protection for the lost income due to your home being uninhabitable. For example, you detail cars at your home one day a week. Your home has a fire making you unable to work at your home and you need to rent temporary space on a part-time basis to complete your work. The extra expense incurred to rent the space on a part-time basis due to the fire would be covered. Keep the area clean - Maintain a clean and dry work area dry to prevent slip and falls from customers dropping off and picking up their vehicle. Be sure to also keep cleaning products off the ground so they do not stain. Know your cleaning products - Many cleaning solutions could result in staining of concrete or paver driveways so make sure you know your products and the surface on which you are cleaning. Keep track of your schedule - Develop an accurate calendar so that vehicles are completed on the proper day and you are not overbooked. CoverSmart is the best way to buy business insurance. © All Rights Reserved by CoverSmart Inc.